The supair escape 2 airbag is reversible, light “Flex Seat” split-leg harness with complete Airbag. 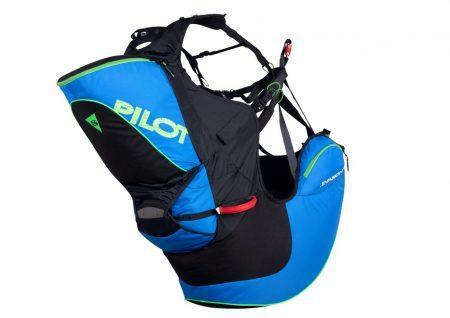 Particularly adapted for hiking and flying : great to carry around, comfortable seating posture in flight with an excellent Airbag passive safety. Polyvalent and well adapted for either mountaineering, para-skiing, trekking, speed-riding and tandem flying. – Trekking / flying and progression. – Tandem pilot or passenger. – Pre-equipped for a front reserve parachute pocket. – Reinforced self-leveling system via the Flex-Seat design. – Light aluminum buckles ( with Safe-T-Bar ). – Pre-equipped to accept the hydration pack. – Concerning inflations done in snowy or sandy environments, the Airbag air intake can be closed via a hidden zip. 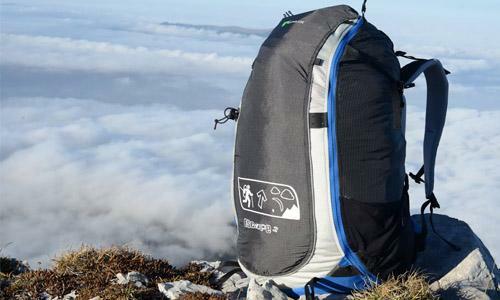 – Backpack: adjustable ergonomic shoulder straps, chest strap, hydration system and compression straps. – Harness : large dorsal pocket ( dorsal Airbag ), side hiking pole connections, two icepeak connections. 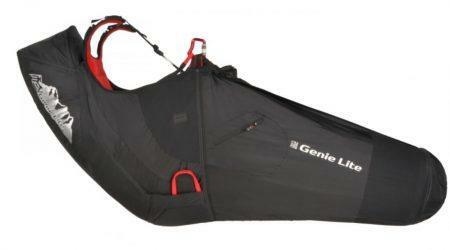 – Bag : 65 lt. volume with stretchable lateral skirts ( will accept a mountain wing or mini-wing ). Small additional waist strap key pocket.